Have you been naughty or nice? Hopefully a little of both, the combination is essential for keeping ones sanity. At least that's what I've been told......I'll work on both. Oy! 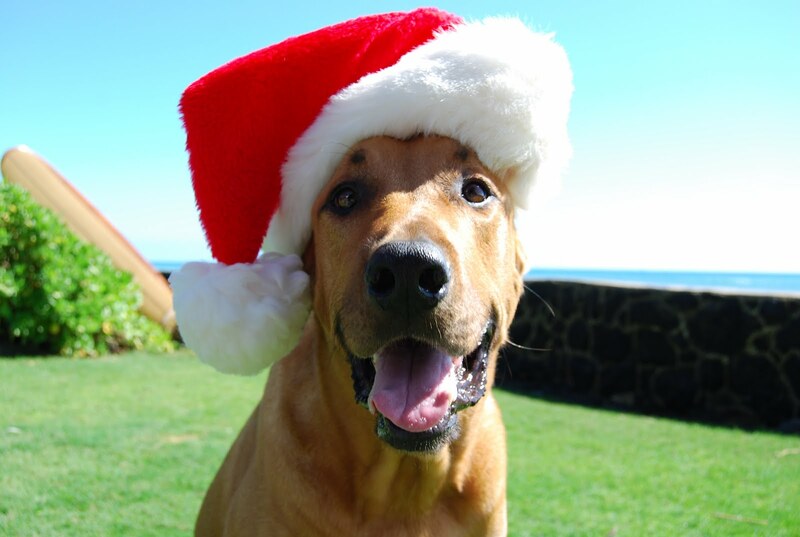 That's Kona above.... you don't want a lump of his coal in your stocking, so you better be good....Yikes! We're still snowed in here, the white stuff starting falling a couple of weeks ago and just won't stop!? We had a delivery the other day, the driver looked out the window and said "Oh, what a beautiful view"... I guess beauty really is in the eye of the beholder!? Call me crazy (shut up! ), but I prefer the course to be Green, not White!! Oh well, I guess I need to take Jeff, Josh and Jake's attitude.....It's not going away, enjoy it. Haven't seen much of the boys lately.....they are hurrying to get all the equipment maintained and put to bed for the winter. Just like a couple of Santa's elves. Yikes...I just got a visual of Jeff with green pointy toe slippers with bells on the end, and a green pointed hat! (sorry Jeff!) Keep up the good work guys. Many members have stopped in to renew their memberships, say hello and bring warm holiday greetings. It's always nice to have some company this time of year. Soon many will be off to Florida or other points south and west to escape the winter chill. Some are already there. Hey Joe Tee and Jan..... Glad you made it safe. I think our distinguished grill master mister Z and his wife Ann leave shortly, and a couple of the "Prime Timers" are headed for Arizona. Safe trip for all. See you in the spring. Bring back some sun! I'm still doing paper work and putting off starting the annual scrubbing down of the kitchen. This of course entails that I must make my winter fashion statement of Jeans, old T-shirts and long yellow evening gloves with the designer name of "Playtex"! I'm a such a trend setter. Oy! I don't think Ralph Lauren will be calling on me anytime soon. Not much else happening around here. I shall wait for the mail, clean up a bit and head out to get some holiday preparations done. Maybe make a couple of stops and partake in some holiday cheer.....Golfmama's sleigh is full of goodies that need delivered. But really, Merry Christmas Everyone. Hope Santa is good to you. How may days until the Chili Open?! Good one on the elf visual Mama! 46 this weekend, will the white stuff be gone for a soggy 9 holes? Ask Jeff to put the flags back in. Jeff will be ready with smiles awaiting, and Golfmama will make room for anyone waiting. SNOW IS BACK, SEE YOU IN MARCH! You never know when we can get a heat wave...It's happend before.